Are you heading to Auckland, mate? You’re in for a real good time, that’s for sure. Just as with almost any city you go to in New Zealand, there is a lot to do and plenty to see. If you’re thinking of traveling in a campervan hire New Zealand, make sure to put Auckland on the map. There’s a reason why Auckland is considered as one of the world’s most livable cities. From the great food to the music and culture, if you’re looking for an enriching experience, this is the place to go in New Zealand. While you may not be planning on moving to New Zealand, you should catch a glimpse at one of the best places to live in the world. It’s rich in culture, fabulous areas with a lot going on, and a lively atmosphere. As a city in front of the water, there is always a lot going on and you don’t want to miss out. The following things are just a few of the experiences that you can have while in Auckland, but rest assured that there are many more fun things to do. It has a great waterfront spot where you can enjoy gorgeous views while browsing boutiques, galleries, and restaurants. Wynyard Quarter is fast becoming a trendy spot where people go for great food and a fun-loving experience. You can go biking near the water, visit Thai Street for delectable Thai food, enjoy a game of basketball, do yoga in front of the water, or simply browse the area. Either way, it’s a must-see area of Auckland. Go see Mount Eden while in Auckland. Sure, it’s not hiking up a mountain in the middle of a national park, but maybe that’s what makes it a must do for many. It’s an easy-to-reach dormant volcano in the middle of a city and will give you some pretty cool photo opportunities. A grass-covered crater on top of a volcano isn’t something that you see all the time. Waitekere Ranges Regional Park isn’t in the middle of Auckland like Mount Eden is, but if you don’t mind driving around 20 miles out, you’ll be rewarded with a nature experience that will be worth the hours on the road. It’s a place where you can bike or hike while also being able to see some pretty amazing views of the beach below. It’s also a great time to get some beach time in at the Piha and Whatipu beaches. Visit the Sky Tower and bring your camera. If you really want to see a fantastic view of the city, go ahead and book a dinner at The Sugar Club. With an elegant atmosphere, it’s the perfect place to go for a date night or to celebrate with friends. If you’re visiting with kids, head on over to the Sky Café for some delicious ice cream while you all observe the city below. Take some time to check out art galleries. Auckland is an artsy destination, so you don’t want to miss out on visiting some of its art galleries. 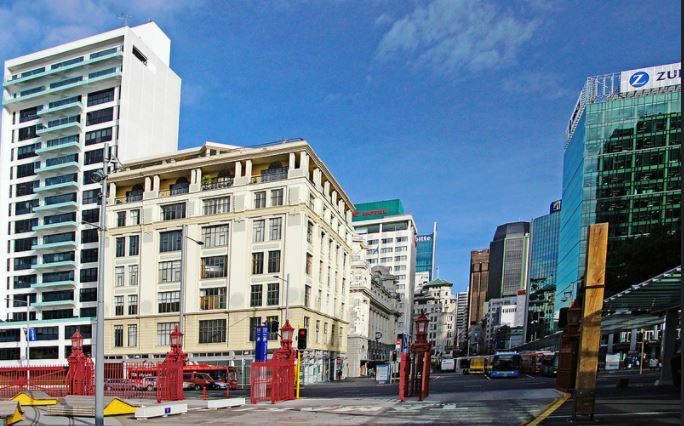 Check out the Auckland Art Gallery, Gow Langsford Gallery, the Artspace, and The TSB Wallace Arts Centre. You’ll get your fill of great exhibits for sure. Walk Urban Street for a unique experience and stop on into a theatre for a play. Locals love this area in Auckland and you will, too. Whether there is a festival happening in the area or you find something that you want to see at the local theatre, you should definitely make sure that Urban Street and Queen Street are included on your list of places to see while you’re traveling in a campervan hire New Zealand. If you’re traveling with your kids, don’t miss out on experiences like visiting the New Zealand Maritime Museum. Rainbow’s End, or Snowplanet. You can be sure that there is plenty to keep them entertained while you’re in Auckland. Auckland is a family-friendly city that has several parks and places geared towards children. Whether you’re traveling alone or with your family, Auckland is always a good idea. From the surrounding areas to the hot spots in the city, there is a bit of something for everyone. As you road trip in a campervan hire New Zealand, there will be plenty of incredible places to visit. From the north to the south, New Zealand is a country rich in nature and fabulous destinations to visit. If you’re in the mood for a bit of city fun mixed in with some nature exploration, make sure to include Auckland on your list of destinations to see while you explore this country. New Zealand is high on the list of best vacation destinations and you can be sure that it won’t disappoint.